Canadian 80's music will be front and centre once again at Rock The Lake 2017. 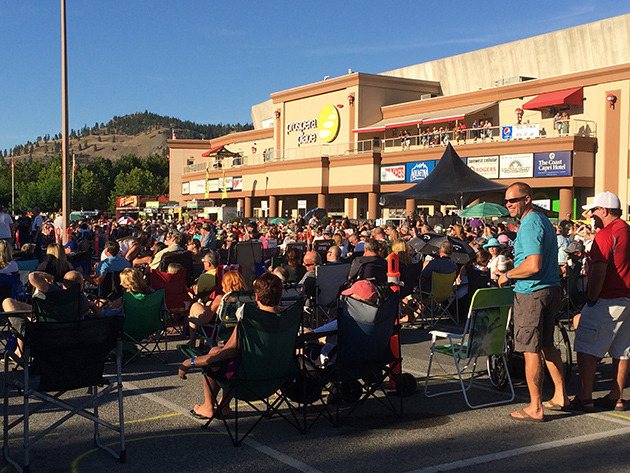 Rock The Lake proved to be a popular ticket in downtown Kelowna this summer. The second annual Rock the Lake music festival in Kelowna—slated for Aug. 11 to 13, 2017—will include April Wine, Kim Mitchell, Honeymoon Suite, Platinum Blonde, Rik Emmett, Chilliwack, Toronto, Sass Jordan, Helix, Carole Pope and Doug and the Slugs. The line-up for the three-day music festival to take place in the parking lot of Prospera Place was announced Thursday morning. Playing off the success of last year’s sold-out inaugural event, which also featured a bevy of Canadian bands and musicians popular in the 1980s, including Loverboy, Trooper, Prism, Sweeny Tood and the Headpins, organizer say they feel this year’s line-up is even better. Prospera Place events manager Sean Bianchini said organizers ran a poll on the Rock The Lake Facebook page and several of the bands booked to play next August were on the list of acts the public wanted to see. He said next year’s music festival will follow the same format as 2016 with capacity once again capped at 3,500. Tickets will go on sale Dec. 9 and include three-day event passes for $143 each, with VIP passes for all three days at $443 each. Prices for single-day tickets will be announced later, as will the the day’s when each band plays. Tickets will be available from selectyourtickets.com, the Prospera Place box office or charge by phone at 250-762-5050. Bianchini said tickets prices were up slightly from last year. The festival will start on the Friday (Aug. 11) evening, with the first band going on stage at 6 p.m. and music running through to 10 p.m. On the Saturday and Sunday, the music will start at 3 p.m. and run to 10 p.m.
Last year, the festival sold out and Bianchini said there is obviously a demand for 80s Canadian rock here in the Okanagan.